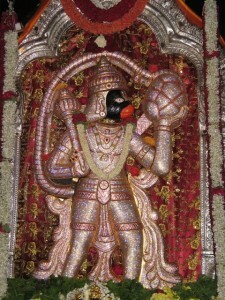 Hanuman is the very embodiment of Bhakthi, “The Bhaktha of Bhakthas”. His adoration of the incarnate divinity of Rama is absolute. A very popular god among the rural as well as among the urban folks. He is worshiped for various benefits: health, wealth, happiness, fulfillment of desires, success and magical accomplishments. 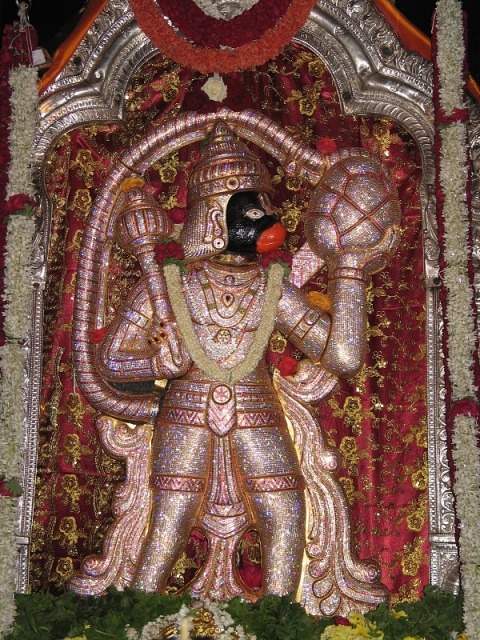 The history behind the name of the temple is as fantasizing as Hanuman Leelas. It is believed that a big heap of Ragi (a food grain) turned out to become a stone, hence the name “Ragigudda”. At the time of incidence The Thrimurthies, Lord Brahma, Vishnu, Maheshwara who visited the place, wished to stay there permanently changing themselves into 3 big stones pillars. Their presence here stands as a witness to all the developments so far, and for the future developments. 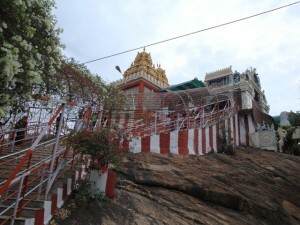 am an devotee of lord hanuman ragiguda temple.i would like to know about the pooja’s up coming . In this materialistic realm, I wish to remain an ever spiritualist for the rest of life. For which, the Bhaktha of Bhakthas should bless me.